Beginning his position on South Texas College’s Board of Trustees amid a “whirlwind” of activity and positive impact for local families, Rene Guajardo says the most important thing he can do for the coming year is enable higher success rates as students transition from STC to universities. He speaks from experience in his own family. Guajardo says his children have been positively impacted after taking classes at South Texas College. As an early college high school student, his oldest child attended STC for two years before moving on to St. Mary’s University in San Antonio. Seeing the success of his own daughter as she thrives at the university level, Guajardo says he has seen how important it is to support STC’s dual enrollment program and advocate for its expansion among local high schools. “Look at all these great things that are happening to our own children,” said Guajardo, who represents parts of PSJA and the Mid-Valley region on the board. 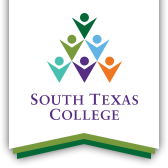 The Dual Credit Program at STC collaborates with 23 school districts and 78 high schools across the Valley, and is supported by more than 300 college faculty and over 200 dual credit faculty across Hidalgo and Starr Counties. Beginning with the first early college high school in 2006, to date there are now 29 Early College High Schools across the Valley with a pipeline of more than 16,000 students and 200 unique dual credit courses. "I know that at the Port of Brownsville we have things like liquefied natural gas (LNG) coming in and we have SpaceX...as a trustee, I am looking out for the students who are looking to build their career. It’s our job and responsibility to bring up different programs that will make them competitive in those particular types of jobs." Elected to STC’s Board of Trustees in May 2018, Guajardo is currently Human Resources Director at Mercedes Independent School District. He represents District 6, which includes Donna, south Alamo, south San Juan, southeast Pharr, south Weslaco and Progreso. Enable higher success rates as students transition from STC to universities. Ensure STC continues to offer career and technical education course offerings that meet the demand of workforce of the Rio Grande Valley. To continue to grow STC and expand dual enrollment classes with local high schools.